SimMon is a great example of the educational potential of mobile technology. 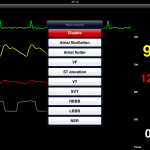 This is a good app for simulating a range of scenarios but there are a few improvements that would enable it to compete with some of the more technical medical simulators. SimMonitor is a great example of the educational potential of mobile technology. 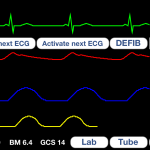 The wide range of ECG trace options and the powerful link to a remote device means trainees and students can practice ACLS scenarios with this app in an efficient and effective manner.